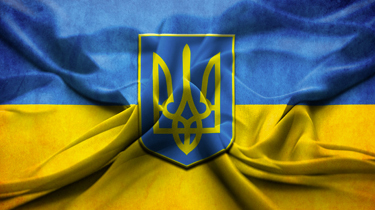 Link Global Management can provide a full range of payroll services in Ukraine. The individual will be engaged on our payroll and income is paid in the form of salary, allowances and expenses, the proportion of each part depending on individual circumstances. Link Global Management will discuss your personal circumstances with you and help you to minimise your tax and social security liabilities, within the boundaries of Ukrainian legislation. Income is managed tax efficiently, not just in Ukraine but also in any other country where there may be a liability. A tax return is filed each year in Ukraine with advice and assistance from Link Global Management who will also provide help with filing tax returns elsewhere, if required. An individual is considered to be a tax resident of Ukraine if he or she has a place of abode in Ukraine. If a person has a domicile both in Ukraine and in another country, he or she is considered Ukrainian tax resident if he or she has a permanent place of abode in Ukraine. If he or she has a permanent place of residence in both countries, he or she is considered Ukrainian tax resident if he or she has a center of vita l interests (for example, resident relatives) in Ukraine. The law provides a special procedure for the payment of Ukrainian-source income by a nonresident individual or company to a nonresident individual. Under such procedure, the income must be paid through an account specially opened by the recipient nonresident individual at a Ukrainian bank, which acts as a tax agent of the individual. Income received in foreign currency is converted into Ukrainian currency at the exchange rate established by the National Bank of Ukraine on the date of accrual (receipt). The converted amount is then subject to tax at the same rates as income in Ukrainian currency. The exchange rate on 27 June 2013 was UAH 7.993 = US$1. Thinking of contracting in Ukraine?